A mid heel dyeable bridal shoe in ivory satin. Open waisted, a perfect shoe for dyeing. 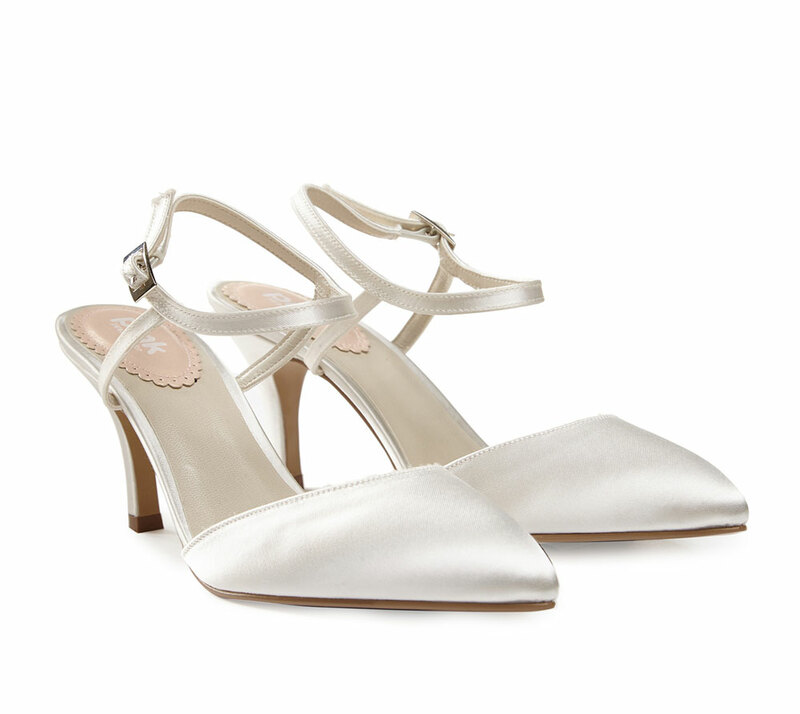 PARADOX LONDON PINK WEDDING SHOES ARE MADE WITH THE FINEST DYEABLE SATIN FOR THAT LUXURIOUS FEEL. RECOGNISING THAT FOR ANY SPECIAL OCCASION COMFORT IS ESSENTIAL, PARADOX LONDON ENSURE THAT EVERY PINK WEDDING SHOE IS TRIPLE PADDED AND MADE WITH A UNIQUE IN-BUILT HEEL COMFORT PAD. Once you have purchased and received this product and decided to keep it, why not tell others why you kept it and get paid for doing so. Write your review under the product listing along with your order number, we will refund you 10% off the RRP. Click the button below to add the Honesty by Paradox Pink to your wish list.